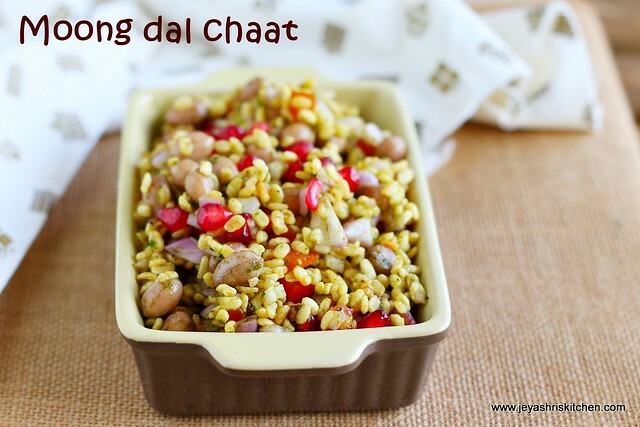 Moong dal bhel chaat is a super quick and easy chaat recipe. It is a perfect snack recipe for kids too. If you have all the ingredients in hand you can make it in a jiffy. I made this with store bought haldirams roasted moong dal. I have already posted the recipe of microwave roasted moong dal, so if you want to make it home made you can do it also. Recently when me and suresh went out for lunch on a weekday, they served the same chaat but with the roasted chana dal. So i tried it with roasted moong dal and it turned out very well. I made this for my friend's family who visited us last week for dinner. They all loved it and it was a super hit too. The quantity i have given is just for the reference, feel free to adjust it according to your taste buds. 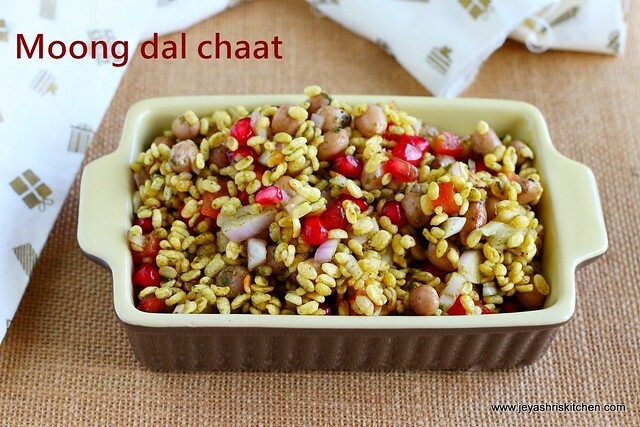 Check out my sukha bhel and bhel puri chaat. Chop the onions and tomato finely. Deseed the tomato before chopping. Boil the peanuts with little salt and keep it aside. In a wide bowl add the onion, tomato, peanuts and pomegranate. Add the sweet chutney and green chutney to this. Add the chaat masala too. Add the roasted moong dal to this and mix well. You can add finely chopped apple or pear to this, to make it more healthy. Instead of boiled peanuts you can make roasted peanuts. As chaat masala has salt in it add little salt . If needed later you can add. Grated carrots and boiled cubed potatoes can be put too. Thank you, you can replace peanuts with channa| chole or any legume of your choice. else you can avoid that and include only potato.